Since having the baby my time for making meals has nearly disappeared, plus I've got to do more with just one hand so we have been making lots of fruit & vegetable juice and smoothies. I know there's a million recipes for juices online but I thought I'd share my personal favorite. It's not the most complex but it certainly is tasty and a good way to get some green while having something sweet. 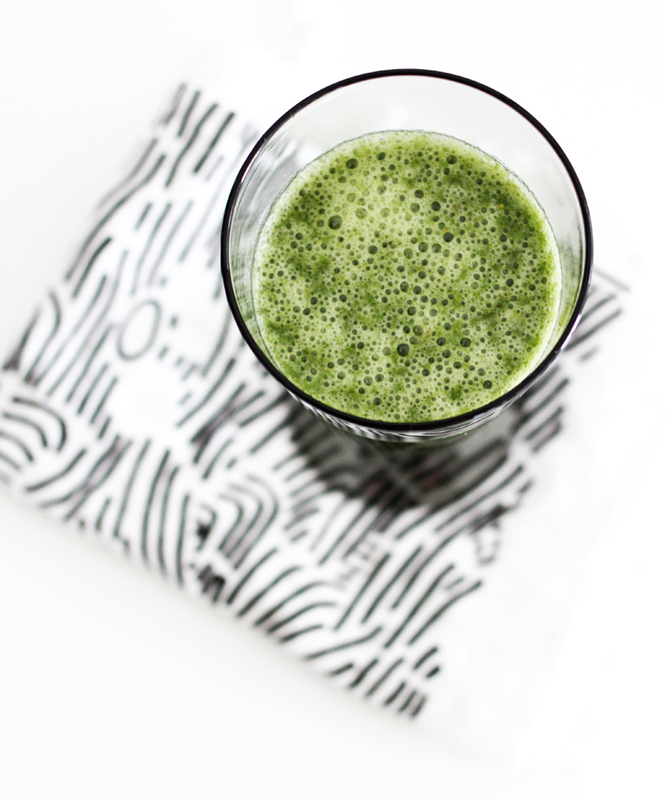 Pour the juice into a blender with 3 large stalks of kale, blend until kale is chopped finely. Add 1 banana and 3 large strawberries and blend together. In case you're wondering, glass is from Ikea and tea towel from Kollekt. That sounds delicious! I love kale in my smoothies. I do a similar one only sub out the banana for a pear. sounds delicious. 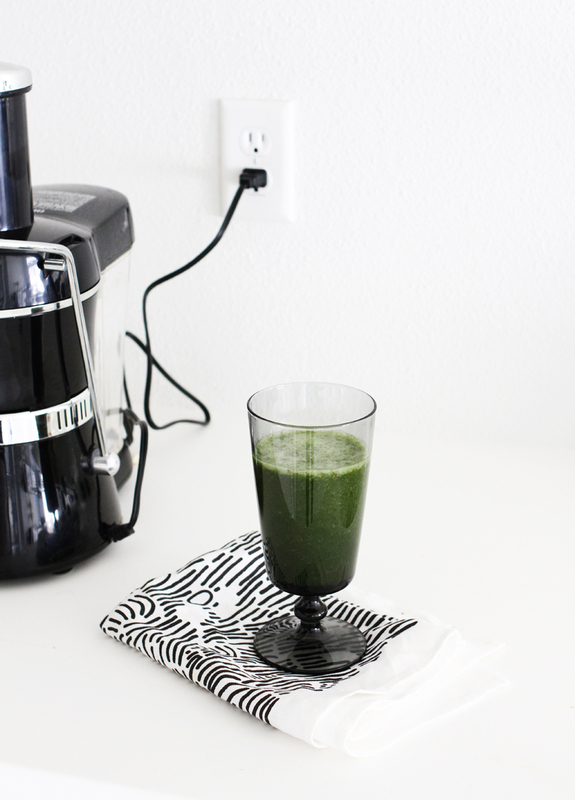 i'm loving green smoothies lately & haven't tried any with apples, so i will have to! I was always a bit intimidating by the "greenness" of these smoothies, but once I sucked it up and gave it a go I realized they are actually delicious! It's so sweet, and it fills me up for hours! Such a treat! We can't wait to try. The images are stunning! I just made this and it is one of the BEST things I've ever made!! I did a couple of things differently because of texture preferences. I juiced the kale as well as the apples, then added all that to my blender. I used a frozen banana and my frozen strawberries, did not need ice. I'm having this for lunch tomorrow! !